I wanted to be a caring, compassionate, yet confident figure that advocates for the patient. In the past two years that I’ve conducted research and worked on other projects with Dr. Mary Koithan in the College of Nursing, one of the most important things I’ve learned is that nursing is so much more than just monitoring the patient. It’s important to hear the voice of the patient, help them have control of their care, be the figure that gives them the attention and care when they need it, and play a role in healthy habit promotion and disease prevention outside of the clinical setting. I was drawn to the UA College of Nursing through the Partnership for Native American Cancer Prevention (NACP) undergraduate research program. Although I initially wanted to be a clinical dietitian, I began researching with Dr. Koithan. We focused on alternative and palliative therapies for cancer care side effects and quality of life improvement. In addition, I was given the opportunity to work with many nurses of different backgrounds and specialties from the college and from the community. These individuals offered amazing perspectives on the impact that a nurse may have on an individual and the community. 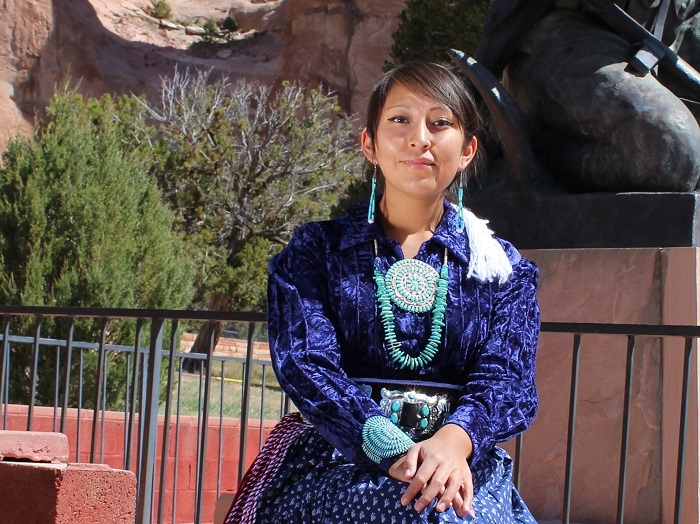 I realized that being a nurse would help me achieve my goal of returning to the Navajo Nation and promoting wellness and traditional healing. For the MEPN program, I'm excited about the fast pace and the immense amount of knowledge I can gain from an extraordinary range of talented, experienced nurses. I'm most passionate about caring for my future patients on the individual level and providing that important care that is crucial to a patient at their most vulnerable point. Share your favorite memory from your time at the CON. Every day is an adventure for me at the College of Nursing. My favorite memories include the many light-hearted meetings with Dr. Koithan and the Tohono O'odham translators, Darlene and Linus, applying the final touches on my two research posters to present to the NACP panel, and, of course, performing my first head-to-toe physical assessment as a student nurse. I intend to build better futures by inspiring future nurses by being a supportive, devoted role model. I also wish to continue my current project which is the creation and dissemination of cancer education materials in the Tohono O’odham (TO) language. This project, a collaboration of the UA CON and Tohono O’odham Cancer Program focuses on the translation of cancer overview guides into TO. These education materials are videos narrated in TO and utilize culturally appropriate images. So far, these materials have been distributed to TO area hospitals and to Community Health Representatives so that they are easily accessible to TO community members. Once I complete my degree program and have more expertise in patient care and the healthcare systems, I hope to expand this project to other chronic disease states, such as diabetes and cardiovascular disease, and to other Native American groups like the Hopi, Navajo, and Apache. This type of community health education should increase the Native American public’s knowledge on disease states and promote health behaviors like disease prevention, early diagnosis, and treatment compliance. These outcomes should increase quality of life in Native American patients and improve overall health in rural and urban native communities.